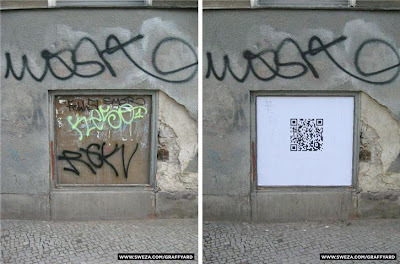 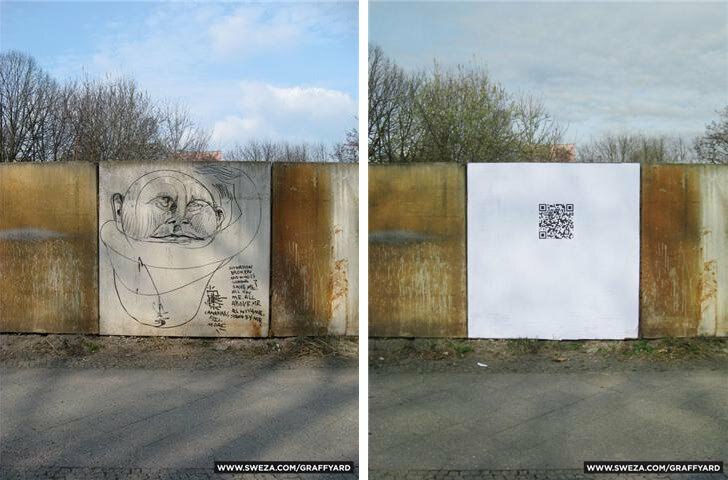 Berlin based artist Sweza dropped us an email to share with us how he is using QR Codes to preserve tags/graffiti for posterity by photographing the graffiti before it is removed. After the graffiti has been buffed by the local authorities or building owner he places a QR Code in the exact location which then links to an image of the original. In that way a mobile phone with a QR-Code Reader can be used to travel back in time if you will and view what was once there. 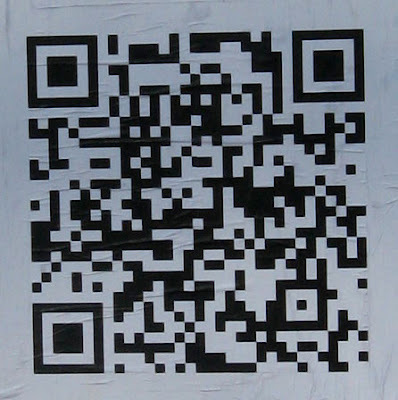 Below is one of the QR Codes Sweza placed on the street, if you have a QR-Code reader on your phone you can scan it and you should see one of the images above!